After a three-year stint as an angsty priest-turned-neurosurgeon on General Hospital, Matt Cohen, who plays Dr. Griffin Munro, is checking out of the ABC soap. His last air date is Friday, March 22. The actor has had many stories during his Port Charles tenure and although his TV dad Duke Lavery (Ian Buchanan) was killed off a while back, the two actors managed to share screen-time when Duke appeared as an apparition in 2017. Cohen says his exit is amicable and the door is being left open for his return. He’s tackling directing next, helming the film Mama Bear, which is already getting positive response as a short at festivals. It stars Cohen’s wife, Mandy Musgrave (whom veteran Days of Our Lives fans may recall as the original Chelsea). Read on as Cohen reflects on his GH experience, whether or not he’ll pop up again on Supernatural, and more! Why are you choosing to leave GH? Matt Cohen: I did three years at the show. It was a great time and I had great fun playing the character, but I’m a guy who gets uncomfortable when he gets comfortable. I need to give Griffin a little rest right now. I talked to Frank [Valentini, executive producer]. We’re leaving it very open-ended. There are a couple of directing projects I’m looking at right now. There’s always the chance I’ll come back. I have a real family over there with the actors and especially the crew that keeps that show afloat. I’m a guy whose OCD [Obsessive Compulsive Disorder] travels with me. I wasn’t bored with the writing or the storyline, but I’m bored if I don’t have an extreme challenge in front of me. My next big challenge is about directing a feature film. I have to embark on that. Maybe I’ll pop into GH every once in a while? That’ll be up to Frank and the writers as to what we do. 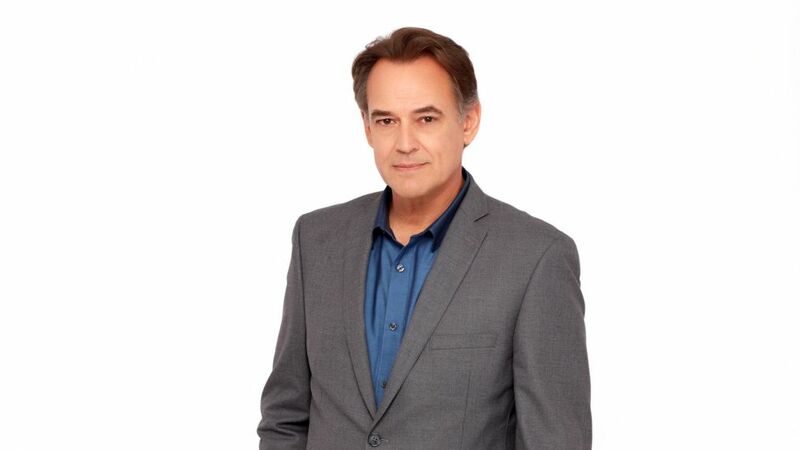 When Griffin had his back to Ryan (Jon Lindstrom) I thought he might be his next victim. Were you happy they aren’t killing Griffin off? Yeah. There is no greater compliment to be paid to an actor than to have the possibility of a return. The fact that Frank and everybody over there at the network would even consider allowing that is a great thing. The show had a cake for you. What’s it like being the center of attention where you’re asked to make a speech? Port Charles hasn't seen the last of Jasper Jacks. Wonderful sentiment. How did you feel about being cast as Duke’s son and what was it like finally getting to work with Ian? After I joined the show, I became quick friends with Finola [Hughes, Anna]. She was always singing Ian’s praises. When Finola says somebody’s great, then somebody’s great. Meeting Ian was spectacular. We only had to a few minutes to work together. It was an honor to play [the son] of a legacy character who is so embedded in the show’s history. Can you talk about Mama Bear? I’ve wanted to direct some feature films for a long time. I directed a ‘proof of concept’ [which shows I can do the entire film]. It runs about 13 minutes and we’re shopping it around. We have several interested buyers. We’re winning awards at the film festivals. It’s won best director twice, best picture twice, best actress, and original score. I have stayed true to a vision and a passion. People told me I can’t direct. I said, ‘Well, I’ve studied and followed directors.’ I felt I was ready and I think it came out great. It’s about an undying love and devotion of a mother to her child. A friend and fellow actor/director told me to do what I know. I took that and put a stick of dynamite on one end and a rocket ship on the other and I let it fly. The only thing I’ve known the last three years is my wife and the great power she’s gained by coming into motherhood and her love for our son. Nothing can get in the way of her child. I reached out to writer friend of mine, Lee Ehlers, a good buddy, and we’ve done a few short films together. We hadn’t put our all into something until now. He came up with the concept. We put together this story that opens up on a mother and child who have been in a horrible accident. The child needs a liver transplant or will die in 24 hours, The mom [played by my wife Mandy] is banged up. She finds the only viable donor that she could get a match with is her ex, who is a drug lord. She has a very dark past in black ops and bounty hunting. She goes off on a 24-hour hunt to find him and take his liver out of his body to save her son’s life. We work in the world of comics so think female Punisher meets Domino (from the Marvel comic book X-Force) meets Crank! 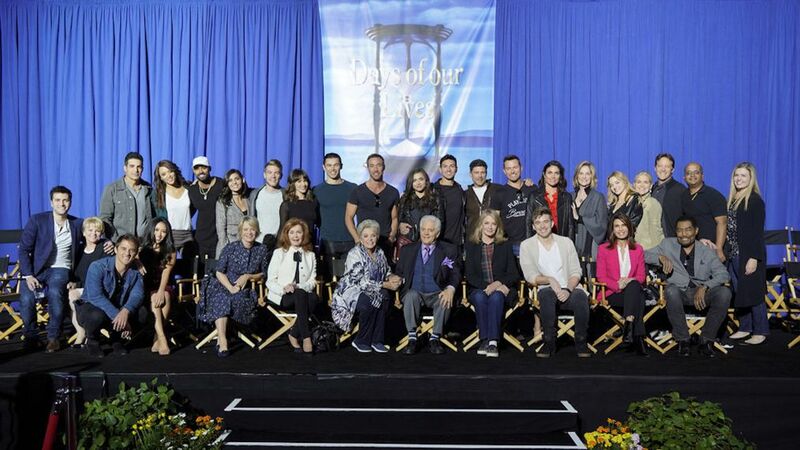 'Days of Our Lives' was recently renewed for Season 55. So where does it fall in the ranking? Might we see you back on Supernatural as young John Winchester? Yes. I can’t tell you for sure. They may not know yet. But there’s always that opportunity. When it fits into the story, I’ll have time to figure out how to schedule it. Both Supernatural and GH are like a family. If I ever lost everything, I’d be crawling back to both doors asking if I could come back. [Laughs] This is the first time I’d ever heard that, but if someone were to say it about me, I take that as a compliment. Any final shout out to the fans? I’d love to say to any fan of mine from GH or anywhere thank you for watching and for your support. And thanks to the critics, too. They make us better and help us grow. I’ll be back either as a premonition, a return, in a dream, or a flashback. Who knows? But I will touch my feet on the GH set again. There’s too much love there for that not to happen. All gratitude towards the fans.